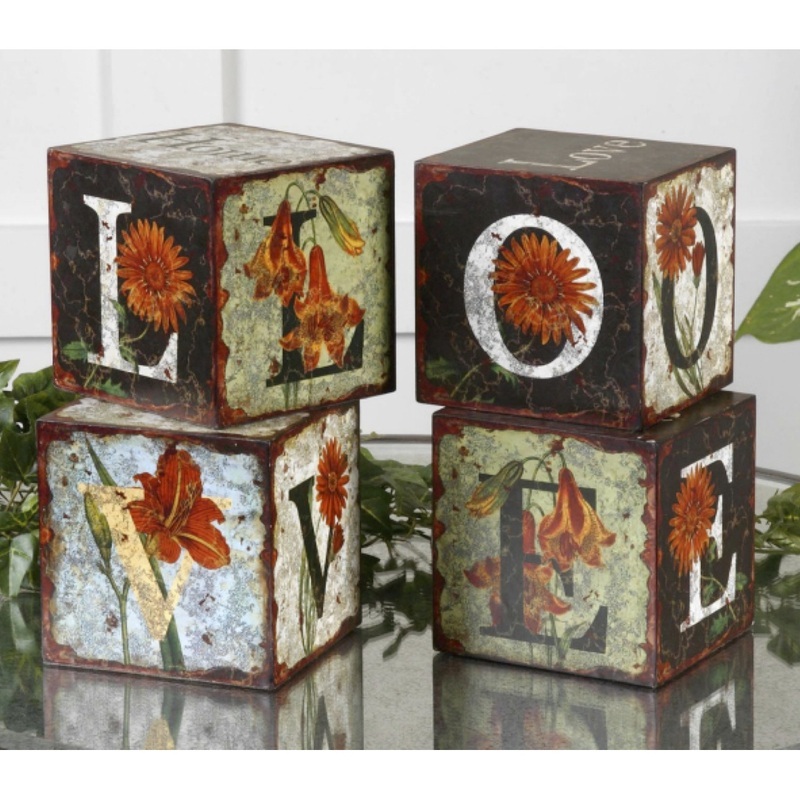 Each block has either the word LOVE, LIVE, HOME or HOPE on it. Each block is adorned with colorful artwork. Set of 4.